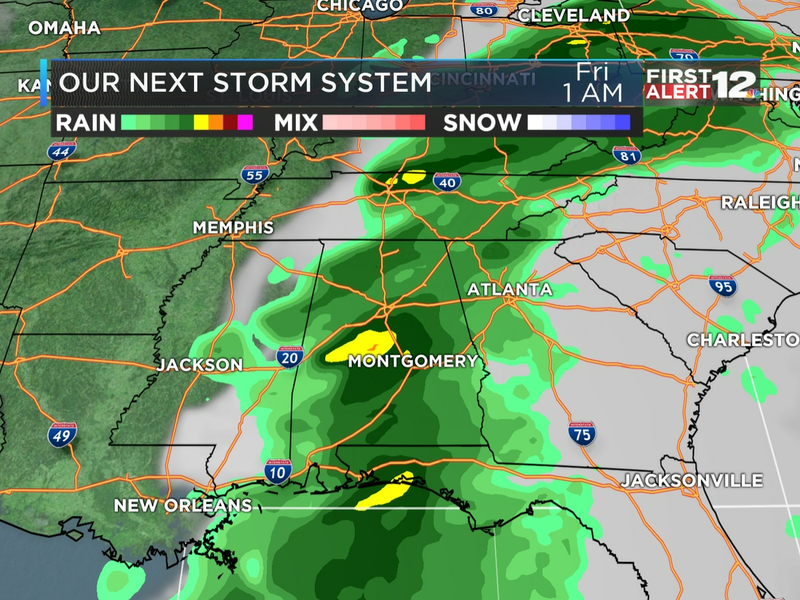 A quick shot of rain and thunderstorms will sweep across Alabama tomorrow, arriving in the western counties during the mid to late morning hours, then sweeping eastward through the rest of Alabama by midday and early afternoon. 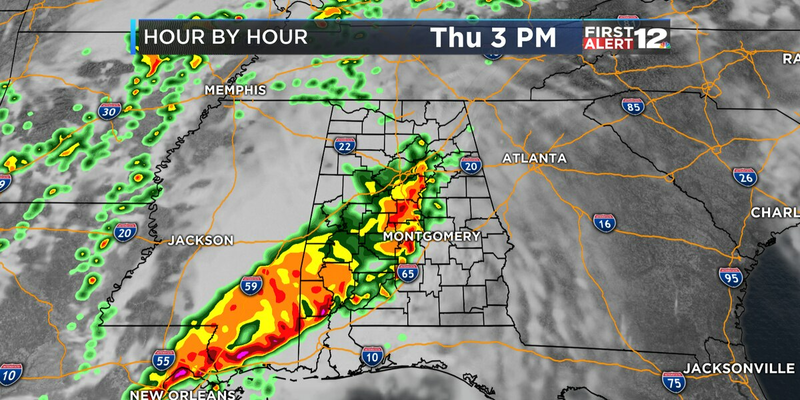 We can’t rule out a few strong or severe storms within this line; the risk of isolated damaging wind or a quick tornado is low, but it isn’t zero. Temperatures will quickly drop behind the rain; we’ll go from near 70 degrees into the mid 50s Tuesday afternoon, and we’ll end up in the upper 30s by sunrise Wednesday. A pleasant, dry Wednesday and Thursday will give way to another rain chance for Thursday night and Friday.